Bought a Single Family home in 2018 for approximately $175K in Camdenton, MO. 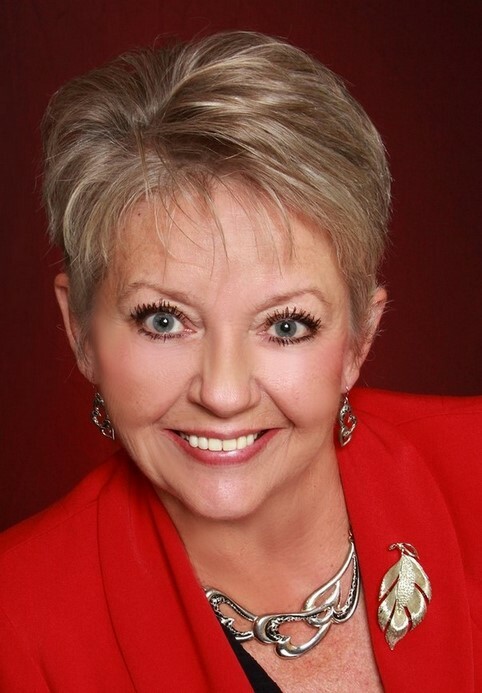 Candy Barton is an experienced realtor in the Lake of the Ozark's area. We moved from Chicago to the Lake and she was very patient with helping us find the right home that met all of our family needs and wants. Candy is prompt with her appointments and responsive to questions. I would highly recommend Candy to help you find the right home for your family! Sold a Single Family home in 2018 in Eldon, MO. Candy always kept us informed on homes that came on the home market. She asked us what we were looking for in a home and the location. We looked at several homes and finally found one that we really liked and then referred us to a home loan office. Candy went out of her way in helping us looking for our home . Once we found the home we liked, she promptly started the paper work and kept us informed on what we needed to do. Candy was always prompted on showing us homes and the paper work. I will give her a 10+ rating and I will recommend her to anyone who is looking for a home or some land. Candy Barton was great in helping us. Craig, Thank you! It was a pleasure helping you find your first home in Eldon! Bought and sold a Single Family home in 2017 in Eldon, MO. Candy is very knowledgeable in all aspects of her job and if she comes across something she doesn't know she will find out. She sold our house and helped us find a new one. From the get go she kept us in the loop of what was to be expected to come from both sides.She listened to what we were looking for in our next house and only found houses in that criteria and really promoted our house to other clients too. Over all we had a great experience with Candy and gained a friend by the end of it all. Katie and Grant, Thank you! It was my pleasure helping you sell your home and finding a bigger one to fit your growing family! And having you two as friends is the best part of it all! Sold a Single Family home in 2017 in Eldon, MO. Candy helped in every step from listing to final sale. Even though we were dealing with health issues she went above and beyond to meet with contractors when we couldn't. We were expecting the house to be on the market for at least 6 months but the whole process took only 45 days. Very impressed. Candy is delightful to work with and would highly recommend her for any of your real estate needs. Cheryl and Lewis, Thank you! It was such a pleasure working with you and getting to know you as friends. Best of luck in your new home away! I look forward to seeing you when you come back to Lake of the Ozarks for a visit! Candy was very thorough in handling my needs for finding a home. I told her what I was looking for and she worked hard to find what I wanted. She gave me several choices to consider and, when I did decide on the property that I wanted, Candy was very helpful dealing with the seller, the loan company and helped set up inspections and testing required by the loan company and VA. She was always available when I became frustrated at the process of buying a home and made it easy for me. She was also interested in my personal stuff that was going on in my life and was very sincere and sensitive to any situations I was dealing with while going through the home buying process. I have friends that are real estate agents around Branson and I found the same treatment from Candy, that didn't even know me, as I did with my friends in real estate that I have known for decades. I would recommend Candy for anyone looking for any property, commercial or residential. Thank you for all your hard work and effort in helping me. You were truly a blessing in this whole process and I was glad you were in my corner!!! Steve, I am honored to be in your corner! It was great working with you and getting to know you, and I look forward to many years of friendship! Enjoy your new home and I will see you soon!